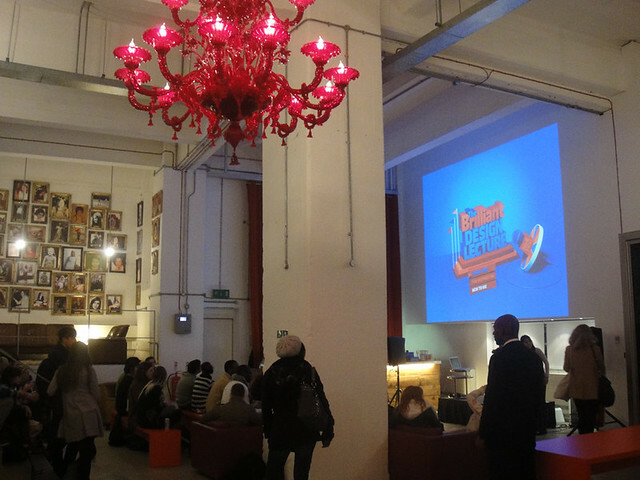 Yesterday a few of the designers popped down to the Biscuit building to attend the Brilliant Design Lecture which was part of this years Internet Week. The format of the talk was nice and simple, 3 speakers each doing 3 rounds of talks, 'I Made This' , 'This Inspired Me' and 'New To Me' . I was really looking forward to this event as one of the 3 speakers was Tim Hunkin, a man who engineers the most fantastical contraptions in true Heath Robinson style. I've used his work as a case study for 'warm engineering' in a client meeting a few years ago, specifically referencing his arcade machines down on the Southwold Pier. He came across really well, fitting into that slightly eccentric inventor stereotype i had hoped he would be. It was amusing how in the second round he said he was influenced by his pet cat and preceded to spend 15 minutes talking about it. The last section of his talk was about the bird clock contraption he build for London Zoo. It's amazing to see how he has all the different objects synced up, without the use of computers just using good old fashion analogue. The other speakers were equally great, Miss Cakehead gave a great talk on how it was almost impossible to offend people through the medium of cake. After sharing some examples of anatomical cakes that wouldn't be out of place at a gynaecologists birthday party i would say she came pretty close. 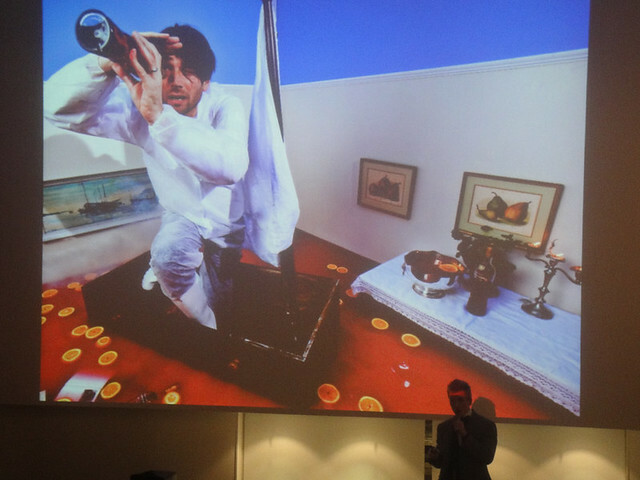 The third speaker was Bompas, who is half of the extraordinary jelly mongers Bompas and Parr. It's amazing to see what these guys have achieved, from jelly architecture projects to filling a room with punch and having a breathable cloud of gin and tonic. I've signed up to their mailing list so i look forward to seeing what these guys come up with next. All in all it was a great night and it was good to see creative people talking about their work who weren't directly related to the design industry.